Go Vacation is a sports game developed by Bandai Namco. 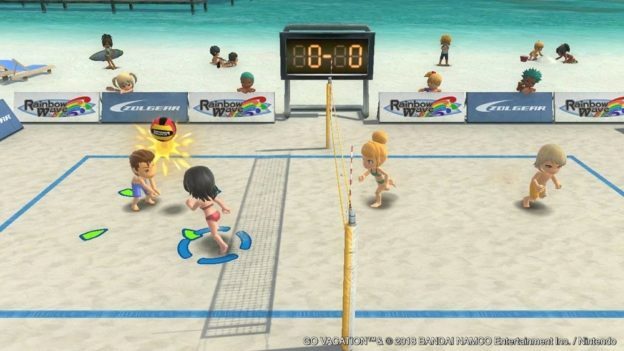 The game was originally released in 2011 on the Wii, bringing a more in-depth version of the likes of Wii Sports Resort to the console. 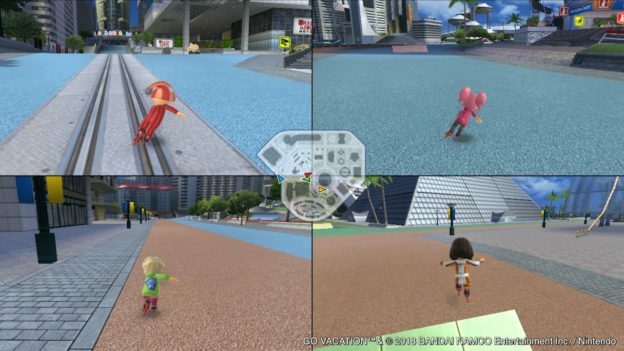 In addition to over 50 minigames, the open-world style of Go Vacation encourages exploration. So how does this version of the game hold up on the Nintendo Switch seven years later? In Go Vacation, you’re on a literal vacation, with your own villa and the ability to travel to four different resorts: Marine, City, Snow, and Mountain. I really enjoyed the differences that set each of these environments apart. It’s not just the backdrop or the activities that vary; the transportation, wildlife, and costumes also adapt with each resort. For example, in the Marine resort, you can get around on your ATV or marine bike (or just swim/walk), but when you hit the City resort, you can take to the streets on your skates – either inline or on a board. It makes each area feel unique and special, and provides more of an incentive to explore. Each mode of transport works similarly, with a button for accelerating, one for braking/reversing, and one for hopping on and off. The controls are just as straightforward in the minigames, often with only one or two moves needed, keeping everything straightforward. It’s a step up from the Wii controls, which included tiresome motion controls, or the need to attach and reattach the nunchuck constantly. These tighter controls create an instantly accessible game – anyone can pick it up and play, from kids to adults, and with any level of gaming experience. Dropping in and out is easier too, since there’s no lengthy explanation required, which is perfect for a multiplayer game. It’s meant to be easy and fun – you’re on vacation, after all. Visually, the game is reminiscent of those classic Wii days, with colorful backdrops and cheerful characters that are very Mii-like. You can use in-game avatars instead of Miis if you prefer – these are very anime-ish, with big eyes and hair. I loved my little blue-haired girl with pigtails, thanks. Overall, the resorts themselves are bright and fresh, further capturing the essence of a fun place to visit on holiday. The whole game looks great, and is a massive improvement over the Wii version. Gone are the blurred and jagged edges, replaced with crisp detail. This is no mere port, and you won’t mistake this for a Wii game. There are over 50 minigames to keep players busy. These differ greatly in style, and generally align with the resort type. For example, at the Marine resort, you can try beach volleyball, surfing, or even skydiving. 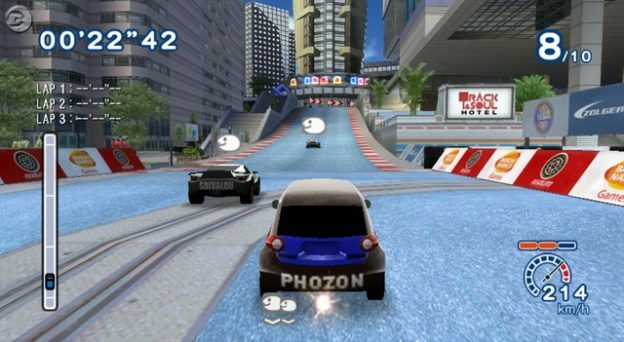 The City resort includes car races, hang gliding, or mini golf. The Snow resort brings the likes of snowball fights and dog-sled races. And on the Mountain resort, you’ll go rafting and play tennis. 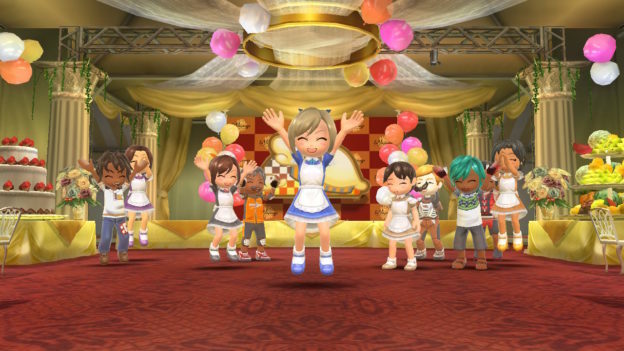 These minigames vary in entertainment value, though with so many to choose from, there’s sure to be something to please everyone. They’re not all gems of course, but none are too hard or tiresome to try out. Doing so can actually unlock even more content, so it’s absolutely worth giving them all a go. For example, minigolf starts with just 3 holes, but you’ll eventually have a full set of 18 to play with. There are some genuinely fun and creative games here, and some that are new to the Switch version, such as fishing (a favorite in our household). There are also some quirky ones, like pie throwing or whack-a-mole. You never know what you’re going to get in this game, and that makes it a blast to play. 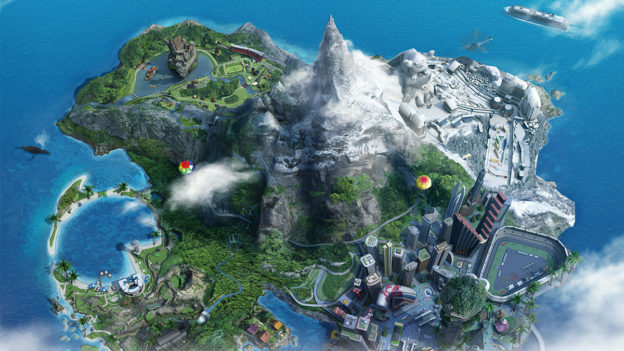 The surprising thing about Go Vacation is not the amount or variety of minigames, but everything else you can do in its huge open world – this is the game’s real selling point. Go Vacation provides a much more in-depth experience than you expect on surface value alone. You can dress your character, decorate your villa, find treasure, photograph wildlife for your scrapbook, or choose a dog – one of many breeds – to be your companion as you explore the vastness of every nook and cranny. There’s a huge world to lose yourself in. You’ll even receive a daily gift just for showing up. It absolutely encourages replay, and provides a solid single-player experience. When you throw in the fun of multiplayer mayhem, Go Vacation kinda has things covered for every situation. The game cleverly provides the option to use one Jon-Con per player, for up to four simultaneous players. You can use two Joy-Cons each, if you have eight lying around, with the only real difference being that single Joy-Cons rely on motion controls. Although I found getting around easier with two controls, singles work just fine for the most part. You can also connect other Switch devices for local multiple-screen action. 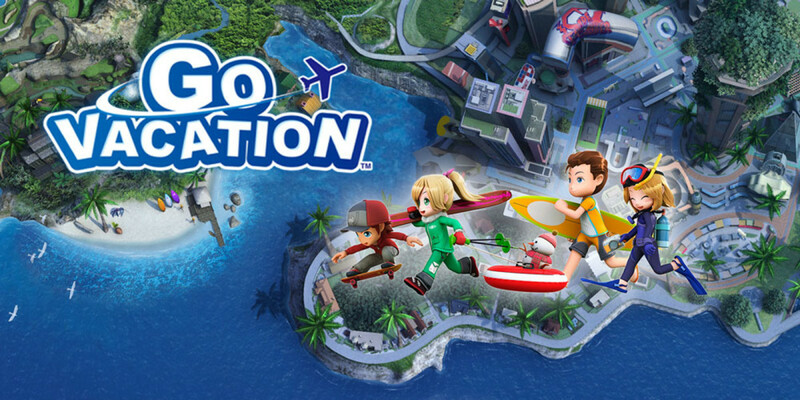 Go Vacation seemingly has it all, but I can’t stress enough that it’s not just a collection of minigames – this will be a surprise for some players. The game’s design further pushes this point, since you’re guided through each activity in a recommended order to “unlock” them; you can’t instantly access them from the title screen initially. You can still wander the resorts and discover them for yourself, which perpetuates that exploration factor – as I mentioned, that’s the real selling point of the game. That fact may frustrate some players, but if you’re after more than just a collection of minigames, you’ll love this game. One slightly irritating factor for me was when I was warped to a location because my co-op friend interacted with a non-playable character. To be fair, there is a countdown warning, and the option to cancel (both options were missing in the Wii version), but it still seems a little jarring, particularly when the interaction is just informational and not to actually embark on a minigame. Overall, Go Vacation is a particularly fun game that’s designed for almost anyone to play. Single players will enjoy the exploration and collecting aspects; groups will have fun discovering minigames. The massive open-world nature and daily incentives provide even more to do, making this a game that encourages repeat plays. Go Vacation is definitely worth adding to your Switch collection. Go Vacation is a particularly fun game that’s designed for almost everyone: single players will relish the exploration and collecting aspects; groups will have fun discovering minigames. The massive open-world nature and daily incentives provide even more to do, making this a game that encourages repeat plays. Go Vacation is definitely worth adding to your Switch collection.